Several reports have suggested that Samsung will offer an eye-tracking feature on the Galaxy S IV that will allow you to scroll through Web sites with your eyes, control video and more. A demo of the technology was recently posted on YouTube, with what appears to be a real Galaxy S IV, but it's far less impressive than the "eye tracking" tech we thought was going to be introduced. Instead, it seems like the phone is just capable of checking to see if your face is looking at the screen or not. If you're watching a video and turn your head, the video pauses and waits until you look back. 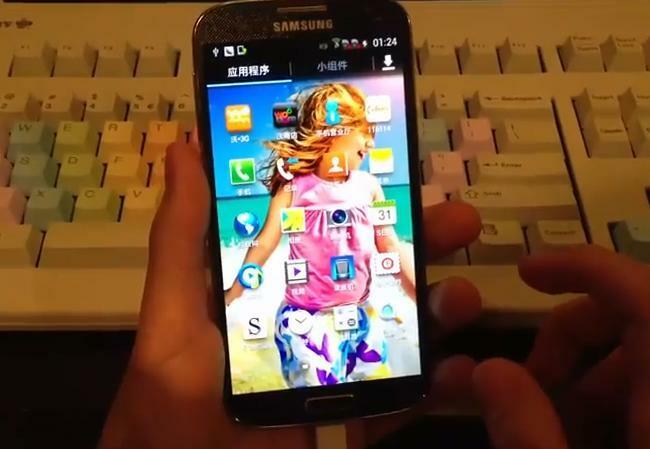 Samsung's Galaxy Note II can detect when an S Pen is hovering above a video, gallery or other media such as email, using technology called AirView that will display a sample clip or part of the message when it knows the pen is above the screen. It appears that Samsung is going to introduce similar floating touch technology in the Galaxy S IV, and we've embedded a video above that shows just how it works. Samsung will officially unveil the Galaxy S IV during a press conference tonight, and we expect the company will dive into these details much more thoroughly.